This picture has been making the rounds on social media this week. It’s intended to show that white people are poor, too, I guess. What is this thing we’re calling white privilege? If you’ve never had to think about it, you’re privileged. If you’ve never had to worry that driving through an affluent neighborhood in a nice car would make you suspect, you’re privileged. If you’ve never had to worry when you walk into a job interview about whether or not you’ll get the job because of the color of your skin, you’re privileged. If you’ve never had to worry about holding hands with your significant other because of the color of your skin, you’re privileged. If you’ve never had to think about whether or not the quality of service you received was because of the color of your skin, you’re privileged. If you’ve never worried about whether you could get health insurance, car insurance, a mortgage, or whether the rates you are offered for any of those things is higher because of the color of your skin, you’re privileged. Being rich or poor has absolutely nothing to do with white privilege. You see, being poor might make you less privileged, but if you are white you are privileged nonetheless. There may be a cast system here where some are more privileged than others, but discrimination based on the color of your skin isn’t something you’ve likely every experienced if you’re white. The mere fact that a white person felt freedom enough to post such a meme means you’re privileged. Hating or disliking white people doesn’t render them powerless, it doesn’t oppress them, and it doesn’t deny them equality. I detest the notion anyone might hate another based solely on the color of their skin. However I do understand where it comes from. We tend to disdain those who have more privilege than us. Especially if we believe that those with the privilege are either keeping us oppressed or denying, or at the very least begrudging, us equality. It is honestly absurd that any white person in America cannot see that they do, indeed, have privilege no matter their economic standing. When I saw this meme I was immediately both embarrassed and angered at the same time. It is a straw man. Clearly those who perpetuate this fallacy have not really considered what it even means. Nor have they considered what it might be like to walk around in the shoes of a black person for even one day. White privilege: I do not think it means what you think it means. Categories: Uncategorized | Tags: Oppression, Racism, Underprivileged, White Privilege | Permalink. I won’t link to his website here. Just a quick Google search of the name and you’ll find it if you want to see it. I just went there to see if this quote was accurately attributed. It is. Now, I’m not a militant-feminist. I simply want equality, having no desire to push anyone else down – male, female, black, white – makes no difference to me. Poking around over there gave me a case of the hives and made me afraid. It made me afraid that there really are white men[any men] in America – or anywhere, for that matter – with this mentality. The only reason I even know about it is because someone I’m friends with on Facebook posted the meme. Surely this was some kind of joke, I thought. This call to tribalism and male dominance is appalling. I would think that even you men out there would agree with that. Why would anyone want to back up? I wouldn’t have thought that anyone in the 21st century would be advocating this. 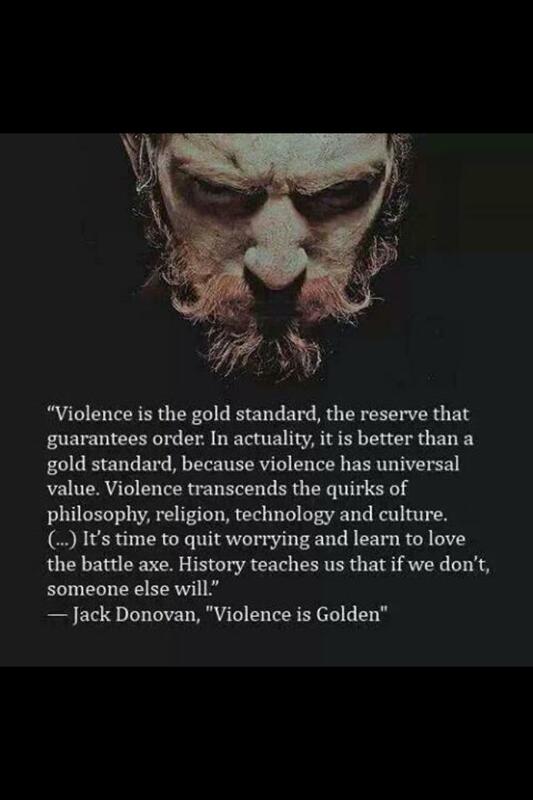 If violence is the gold standard, sell all your gold. Why do [some] white men feel as if anyone seeking equality is a threat? Those of us not white and muscle-bound have to do that through the ballot box and legislation. We don’t go around punching people in the face(or refraining from it only because we’d be thrown in jail) to get our way. This doesn’t seem much like masculinity to me. It seems more like five-year-olds in a sand-box. Or a two-year-old throwing a trantrum to get his way; childish and archaic. Is this what survival of the fittest is about? If a man can dominate, if he can hold you down, if he’s the leader of the pack he’s king. That someone of the male persuasion would think this way or, more crucially, behave this way says to me he’s no man at all. Human ethics dictate that we protect those weaker than ourselves; not seek to destroy them. This is barbarianism, plain and simple. Some how I think men with this mentality would take that as a compliment, though. Categories: Uncategorized | Tags: Abuse, Atheism, Barbarian, Fundamentalism, Masculinity, Racism, War, Women's Rights | Permalink. Despite some of the things I’ve written here about the religious zealotry that happens in the U.S.A. and about the state of our welfare system I’d say that this is a pretty great place to live. In fact, it may be some of the things that led this country down that path that I love. This really is a land of opportunity for anyone who knows how to best take advantage of them. Even those “trapped” within the welfare system can, given the right circumstances, get out of the “trap” if they want to. The key is having enough experiences outside their cultural norm to see that they want to. If that’s the only life a person has ever known anything else is foreign to them. It’s for other people. It’s not just being told you can’t do something else, something more; it’s never having been told that you can…I digress. The very thing that allows religious zealots to exist in this country is one of the things that I love. Freedom of religion. That same freedom allows me not practice a religion. It has no bearing on how friends or family or even perfect strangers react to my disbelief. They can be shocked all day long and twice on Sunday but none of them can force me to take part in their religion. I’m free to do as I please with regards to that decision…I digress. There are a lot of things wrong in the good ole U. S. of A., but there are a lot of things that are right as well. While that is true, I recognize it’s true of other countries as well. The United States hasn’t cornered the market on these things. And, while I love my country, I also recognize other people feel the same pride in their own nationalities. 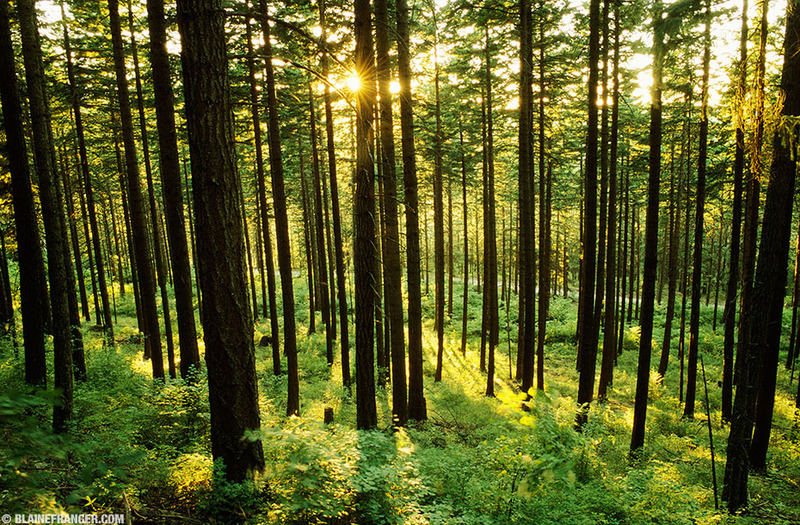 America is not better than a lot of other places, but it is home to me. That may not be enough patriotism for some people, but it’s enough for me…I thrice digress. I thrigress! There are a lot of things people from different countries and regions within their respective countries take pride in. I’m no different. I love the South – most of the time. 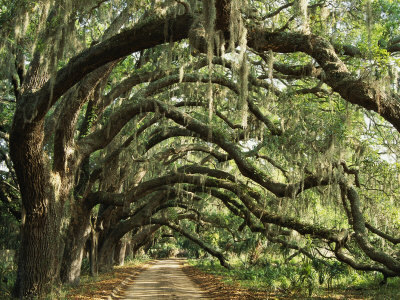 I love the laid back atmosphere, I love the big Live Oaks, and the wrap-around porches. I love sweet iced tea on a hot day and I love the friendliness of the people here. I love the rows and rows of farmland[which is in decline], the smell of fresh tobacco and the smell of earth in a freshly turned field, I love to eat the heart right out of a warm watermelon cut open right in the patch. I love home-canned vegetables and preserves and I love southern fired chicken. See, these are things I’m proud to say that my homeland is noted for. This is also not the only place these things are found. BERMAN: All right, ahead @ THIS HOUR next, the Confederate flag at the center of another heated debate here in the south, this time because it’s featured on a new state-approved specialty license plate in Georgia. We’ll hear from both sides in this debate over whether this flag honors Southern heritage or is a symbol of racial oppression. BERMAN: It is a battle that’s flaring here in Georgia. This is the flash point. 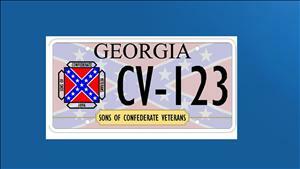 It’s a new state-approved specialty license plate that features the Confederate battle flag. And many Southerners believe that symbol honors their heritage. PEREIRA: Many others see this as a racially charged symbol of oppression. We’re joined by Ray McBerry, spokesman for the Georgia division Sons of the Confederates Veterans, and Charles Steele, he’s the president of the Southern Christian Leadership Conference. Thank you both for being here to have this conversation with us. Charles, let’s start with you, first of all, why this new battle over the latest license tag? Supporters say they have a right to honor their legacy. CHARLES STEELE, JR., PRES., SOUTHERN CHRISTIAN LEADERSHIP CONF. : Well, first of all, we have serious problems with racism within this country. And that’s a part of our history in terms of the Confederacy. And that’s where it should maintain, in history. Not to bring the dark side of our history in terms of this country, because the whole world is looking. I just got back from Berlin, Germany. They were saying, we want to be like you are in America, working harmoniously with both ethnicity and races. So what I’m saying if it’s a part of history, it’s a dark side of history. We were lynched. We were tortured. Our family was divided under this type of mindset. We cannot afford to go back. And you’re talking about 50 years later after the 1963 march on Washington. BERMAN: So Ray, what about that? We’ve all heard the argument that this is part of Southern heritage; it’s part of Georgia’s heritage. Is it part of Charles’ heritage? There are a lot of African-Americans that live in Georgia. That’s the Confederate battle flag right there. Is that part of their heritage that is deserving of commemoration? BERMAN: I’m sorry, are you talking about Black History Month? Are you equating Black History Month with a celebration of the Confederacy? MCBERRY: No, we’re saying every group of people has a right to celebrate their own heritage and history. And we find it ironic that the folks are that are being critical of the license plate having Confederate heritage symbols would bemoan someone else celebrating their own history and heritage while they’ve got their own celebration going this month. We think it’s a little bit hypocritical. STEELE: Well, the first thing that come to my mind, well, when are we going to join alliance? Should we have a tag with the Black Panther Party? BERMAN: Would you be okay with that, Ray? MCBERRY: We think every organization that meets the qualifications that the Department of Motor Vehicles has established here in Georgia ought to have their own specialty plate. And we don’t have a problem with any organization. STEELE: Well next you have the Ku Klux Klan. I mean this is a negative that we can’t afford. It’s bad for business. PEREIRA: One of the things, Charles, that you said that upsets you and the group that is definitely against, is that the state has sanctioned this. STEELE: That’s where I have my serious problem. The state should’ve stayed out of this. If you have a home and you resided at a certain location, it’s okay. That’s your property. But this is sanction. This is supported by the State of Georgia. That is a no-no. That’s saying that they’re willing to support slavery. Take us back inch by inch. We cannot be tolerant on this particular issue. I was greatly disappointed that Berman and Pereira did not question Ray McBerry as to his definition of Southern Heritage. Are we celebrating sweet tea and wrap-around porches. I doubt it. More likely his answer would have been how the Southern States seceded and gallantly stood up to the Union over state sovereignty, state’s rights, and extremely high tariffs. For these Confederates rewriting history is nothing new. But you see, all these reasons for the war up to and including those tariffs had to do with but one thing: slavery. What sovereign rights were the Confederate states fighting for? The right to own slaves. Not only the right to own slaves, but the right to move into the Union states with those slaves if they so chose. They make it sound so valiant a fight that men, even men who didn’t own slaves, were willing to fight to the death to protect those rights. If they come for our slaves what next, our guns? Where will it stop if the states allow the Union to pass laws disregarding the sovereignty thereof? And they wrap all of this nobility in a Confederate Flag and celebrate it. Yet they, and the rest of us, know exactly what it is. It’s a euphemism for racism. The symbol is offensive and instead of seeing it for what it is, they drape themselves in it and attempt to rewrite history to accommodate their celebratory nature over something so abhorrent. I was raised here, born and bred. I know what Southern Pride and Heritage means. It’s high time we recognize the damage it does, the division it causes, and put it to rest in history – where it belongs. Categories: Uncategorized | Tags: Confederacy, Freedom, Fundamentalism, Racism | Permalink.